I love a lot of things about fall. The leaves are changing. There is a snap in the air. College football is in full-swing. It’s a good excuse to flavor almost anything, within reason, with Pumpkin Spice. My family’s annual visit to the N GA mountains for apple picking is just a few short weekends away. 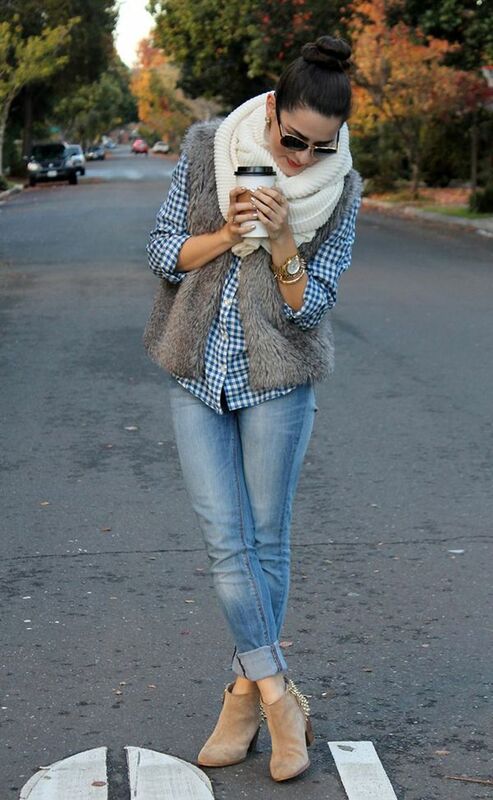 But most of all, I love dressing for fall. It’s my absolute favorite. Many love the simplicity of summer. 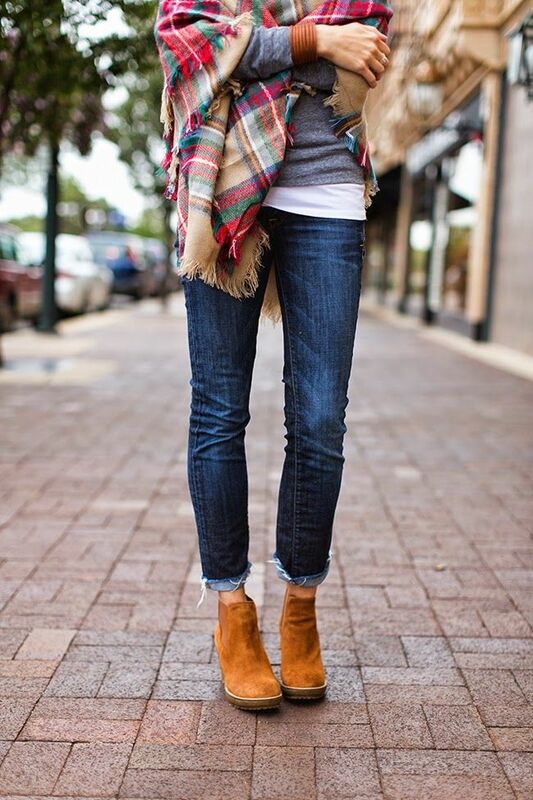 You know- shorts, cotton tees, sun-dresses, and sandals (and I am certainly not against any of that), but I much prefer tights and boots and scarves and layers. Not sure what that says about me? And I don’t even care! So, here are some of my favorite fall styling snapshots from around the web to help you get creative and feel inspired with items you most likely already have in your closet. Open your eyes to see new ways to wear them and enjoy them this season! Over-sized sweaters, jackets, kimonos, and ponchos. They are absolutely everywhere this season! And I know you have at least a few of these hanging in your closet as I type. Love the photo above paired with a simple white combed-cotton tee. Adds dimension and balance to her overall look. To keep the top and bottom proportional and balanced, pair that luxuriously roomy sweater or jacket with a slimmer silhouette- skinny or straight-leg jeans, leggings, or even a modified pencil skirt and tights. For an even slimmer and more sophisticated look, pair monochromatically with one solid color underneath. Black is always a great option and a personal favorite of mine! Don’t shy away from pattern play and mixing textures. Love her use of a striped cotton tee, a worn-in caramel colored leather jacket. and a plaid flannel scarf. So much for the eye to take in, but it all works in harmony. 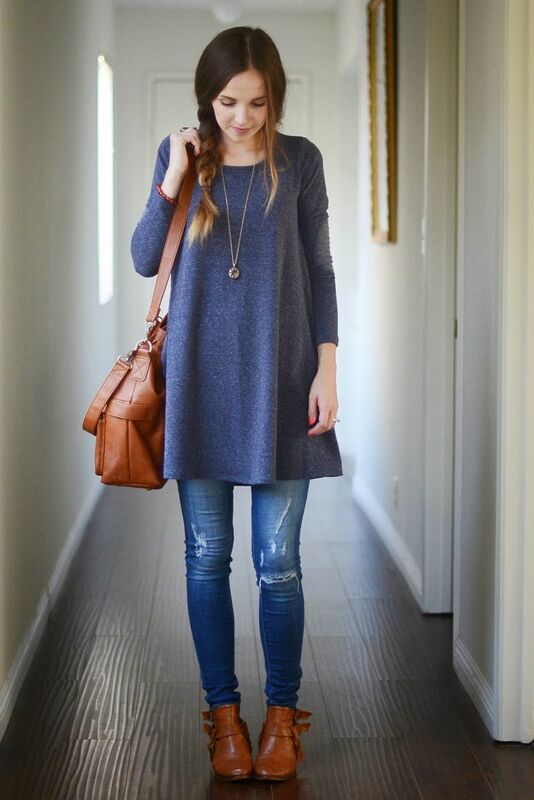 Tunics & mini-dresses over jeans… yes! I absolutely love this trend. Same advice as above, regarding proportion, keep the bottom more simplified. And if the colors are more similar, like a dark wash jean and a black, navy, or grey tunic/dress, the look is more polished and flows easier rather than “cutting you in half” and making you appear shorter than you are. Because- who wants that?!? No one! Also a great excuse to stretch out the wear of some of those summer dresses and tunics. More wear = more value! Faux fur vests are my love language. You feel me? … Good. Absolutely glorious paired with turtlenecks (yes, I am and always will be in support of turtlenecks- they are classic), long-sleeved tees, sweatshirts, sweaters, dresses, pants, skirts… really almost anything in your closet. Want to add instant glam? Throw on some fur! You won’t believe the difference it makes. 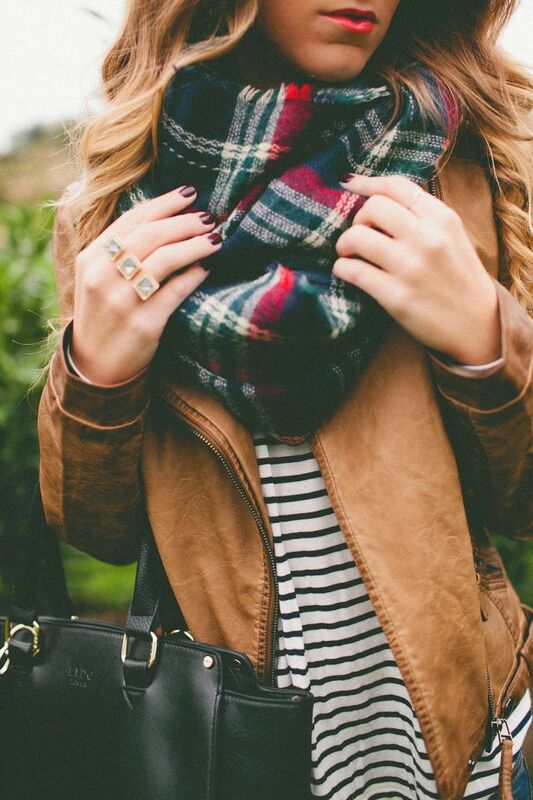 The scarf is the timeless accessory synonymous with fall. 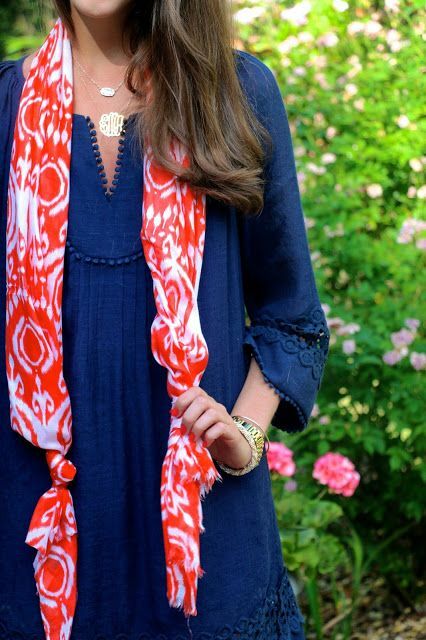 Knotted at each end, the scarf becomes a grand statement piece similar to a lariat or necklace. Doubled up and loosely knotted creating an infinity scarf. Frames the face beautifully and allows what’s underneath to really shine! 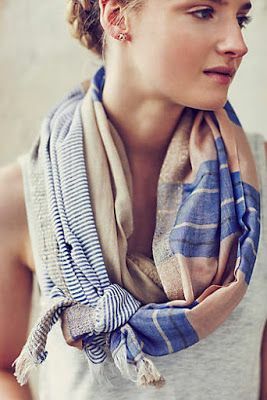 And then, of course, there is the classic blanket scarf. I love the idea of wearing it belted and draped like a shawl. With a cotton, long-sleeved tee and jeans, it’s an elevated, casual look. Want to add new interest to your handbag game? 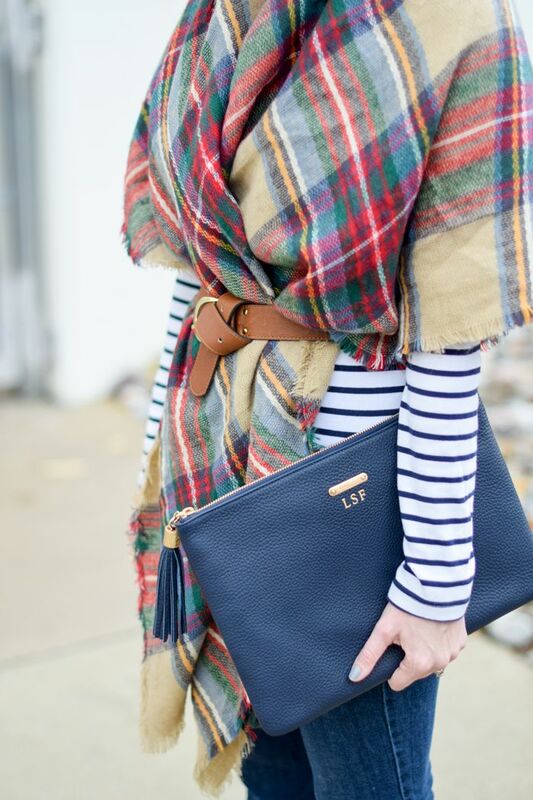 Carry an over-sized envelope clutch instead. So chic with so little effort. 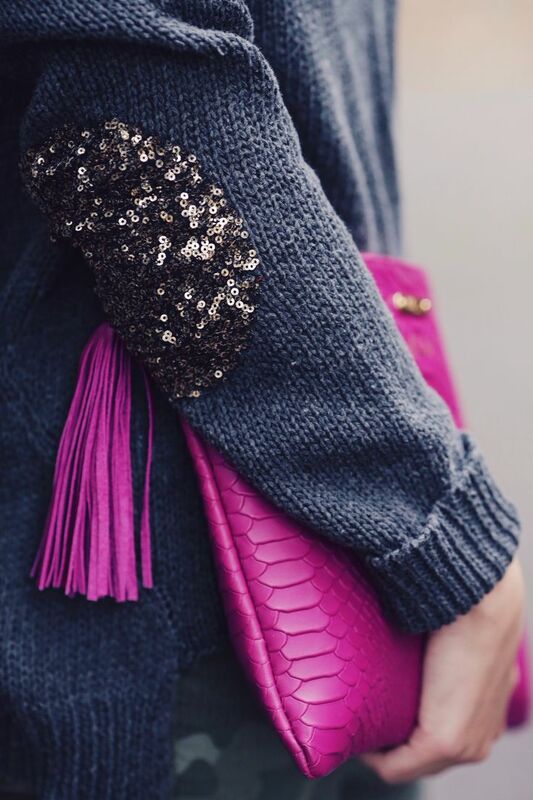 Clutches are no longer just for evening! Break the rules. It’s fun.